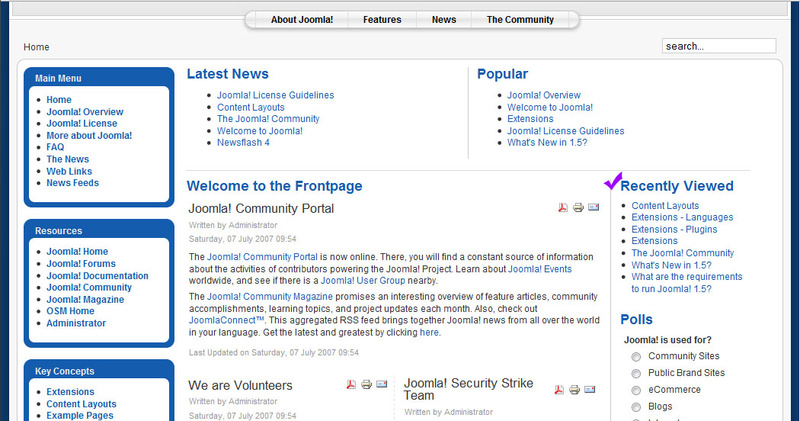 Recently Viewed extension creates a module on your Joomla website that displays pages visited by a user recently. It has several settings - you can display articles only, all pages available on site or even set a custom group of pages that this module should display when they are viewed. Another nice setting - you select yourself how many pages should be displayed in the module maximum. This extension is ideal when you sell goods or services and use Joomla articles as product/service page rather that a shopping cart extension (like we do on our website). 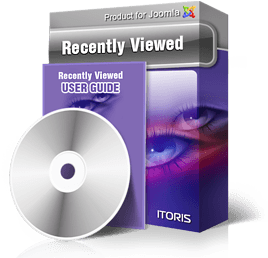 In this case set the URLs of your products' or services' pages in this module and your users while browsing will also have a list of products they have viewed for them to come back easily. How to install Recently Viewed extension? Download plug-in and module and save them locally. Login to your website’s admin area. Select Extensions –> Install/Uninstall. Install package files of both module and plug-in. Go to Extensions –> Plugin Manager, find System - Recently Viewed plugin and enable it. How to use Recently Viewed extension? Create a new module. 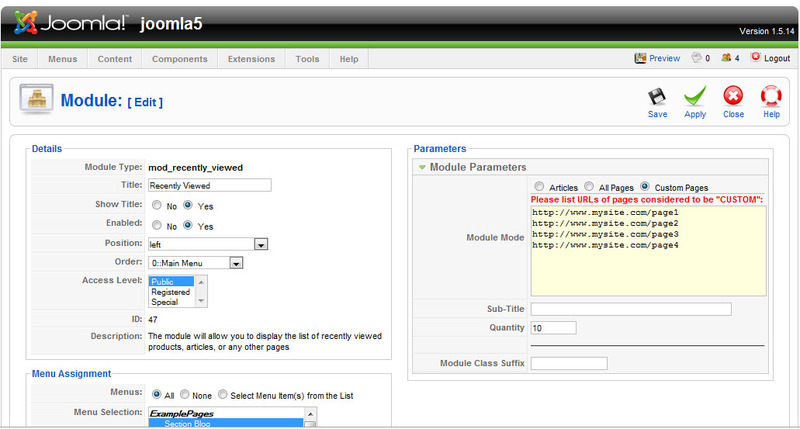 To create a module with recently viewed data go to Extensions -> Module Manager. Press New button. Select Recently Viewed Module type and press Next button. 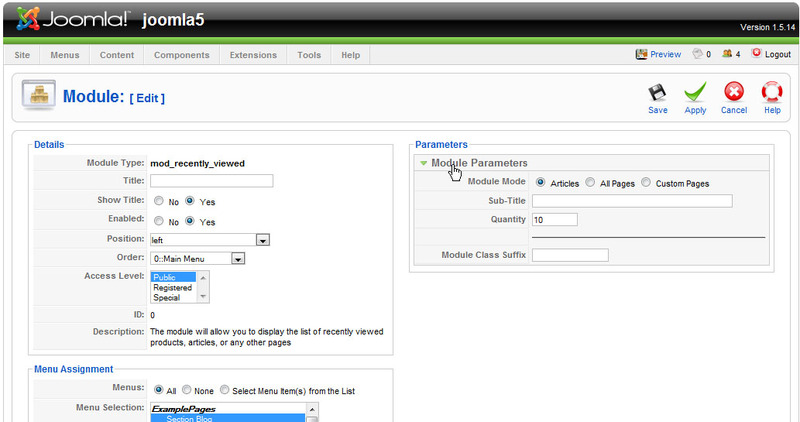 Your new Recently Viewed module will have a number of settings standard for any Joomla module. Apart from them it will have Module Parameters area. When Custom Articles mode is selected – there will a new box appear where you will enter URLs of the pages to participate in Recently Viewed display. Both regular Joomla URLs and SEO-optimized URLs will work. Enter Quantity, set standard Joomla module settings and save.